Apple kicked off its big Christmas ad campaign with a new push for the iPad Air 2, airing a previously unseen TV spot during Sunday football. The TV ad runs for a full sixty seconds and features music provided by The Orwells. The track, called "Who Needs You" is predictably available to buy on iTunes, should you feel the need to give it a second listen. A slight departure from previous iPad spots, the new advertisement – titled Change – features a variety of people in a whole slew of different situations but all tied together with one, iPad Air 2-shaped theme. Keen to drive home the fact that its newest iPad is making it easier for people to do the things they love, Apple once again showcased a range of apps and hardware accessories without ever actually saying what any of them are. "iPad Air 2 isn’t just the thinnest and lightest iPad we’ve ever created. It’s the most powerful. From the studio to the classroom, the field to the garage, it’s helping people discover new and better ways to do the things they love. Imagine what you’ll do with it." Apple’s iPad Air 2 will be the hottest tablet ticket around this Christmas, and with its svelte dimensions and excellent performance, it is well suited to tasks ranging from intense gaming to the composition of music while on the go. It’s those possibilities and all those in between that Apple will be hoping to get into the mindset of potential customers this holiday season. 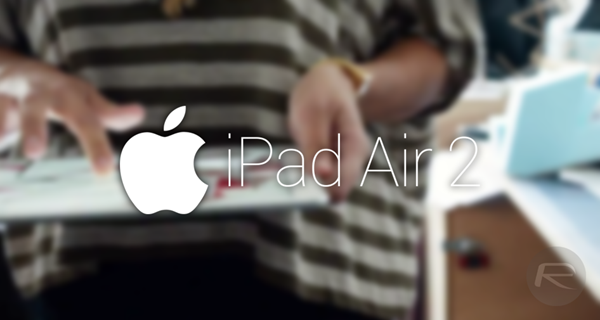 Will you be buying a new iPad Air 2 this Christmas or are you secretly hoping Santa will bring you one? We do hope you’ve been good!